Bottle openers can be a chunky tool to carry around, so what better way to keep them close at hand than on the fridge door? 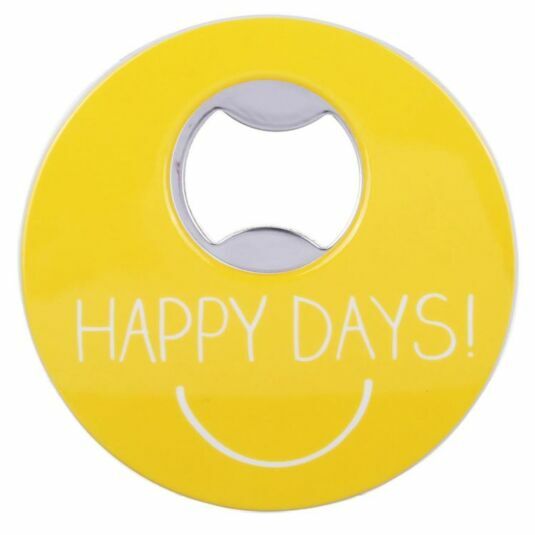 This bottle opener from Happy Jackson comes with a typically upbeat message that reads 'HAPPY DAYS! ', and is a vibrant yellow colour that will brighten any kitchen. It comes with a magnet on the back so you can keep it on the fridge, or anywhere else that it is attracted to!